Joan Tanner, donottellmewhereibelong #19, 2014. Image courtesy of author. —Joan Tanner, Interview with In the Make: Interviews with West Coasts Artists, June 2014. Joan Tanner’s work is inspired by spatial contradictions, archetypal geometric forms and raw materials. Tanner has a history of ebbing and flowing between content and intuition, allowing herself a delightful discourse of trust, coyness, and discerning chaos with her drawings, sculptures and installations. 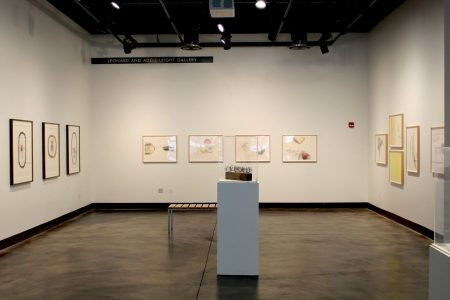 donottellmewhereibelong: drawing and sculpture by Joan Tanner at the Cressman Center is a traveling exhibition most recently installed under the exhibition title NoTiNoRdeR, reading “Not In Order”, on display at the Taubman Museum of Art in Roanoke, Virginia. The exhibition was curated by the artists’ good friend, and Kentucky’s own, Julien Robson, who is currently the Director of the INhouse Foundation, but has worked, most notably, with both the Pennsylvania Academy of Fine Art and Louisville’s own, Speed Museum. 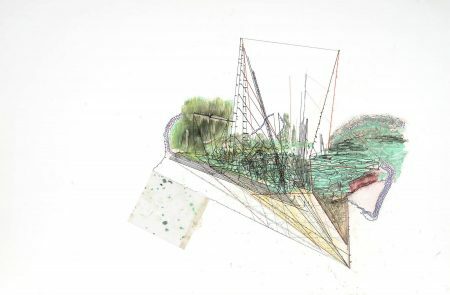 Tanner’s drawings and sculptures are equal parts autonomous drawing, cut-up poetry, and topographical study—such as William S. Burroughs and Eve Babitz dancing. Her mark making is witty, intellectual, and could probably win in a bar fight. To add, the organic quality to her line work is so bodily, like coastlines or limbs, folded under and over hair-like depictions of space. Lastly, they are self- assured in their action, myth, and preoccupation with experimentation or failure. Her abstracted images seem seated in some mythic isle that is devoid of location and avoidant of classification. donottellmewhereibelong #19 consists of a geometric form seated within a vague Earth-esque landscape, that mystically floats without regard to its history— or future for that matter— but with this the artist pairs a drastic pull back from romanticized abstraction and into the reality of the artist’s studio, a collaged piece of cellophane stained with what I can only hope is dirt and paper scrap. Installation shot, donottellmewhereibelong. Image courtesy of The Cressman Center. Tanner’s acceptance with failure, or play with failure, demands that the audience be alright with the artist’s supposed failure. They directly confront the viewers presumed understanding of the success / gallery paradigm. If one assumes the gallery isn’t a place for an artists’ learning, but a place of finalization, then this collection of work calls that theory into question. If the place of middleness, learning, or discovery lies in the place of finalization;, then what can a viewer deduct from that act of failing within the gallery context? Does that gallery become an extension of the artist’s studio? 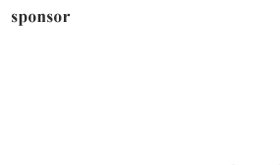 Or does “failure” simply become a stand in for “unfinishedness”? To conclude, I find that unfinishedness of the work does not transfer to the curation, which feels polished and complete. Like a white plate to a delicate meal, it provides a neutral context for the artist to cultivate viewership possibility and wonder. 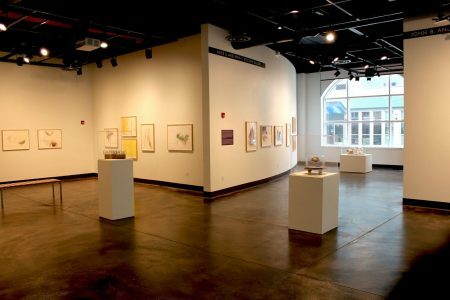 The exhibition is on view through October 27, 2018 at the Cressman Center for Visual Arts.